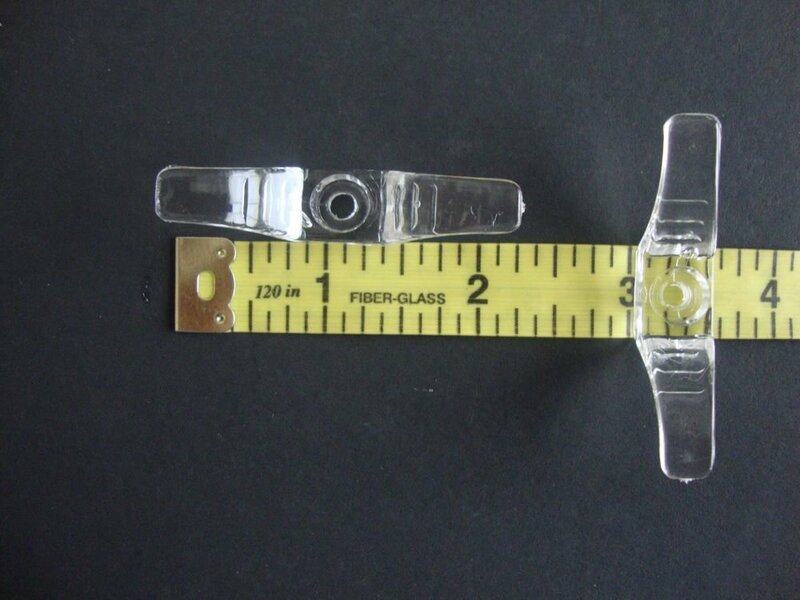 This Listing is for Clear Plastic Cord Cleats, Sold by the pairWe are selling these by the pair at $1.79 per pair plus shipping.These will work with all pull cord blinds and shades, child safety device.Purchase as many PAIRS or as few PAIRS as you need.Any questions, please email us. Froo www.froo.com | Froo Cross Sell, Free Cross Sell, Cross promote, eCRATER Marketing, eCRATER listing Apps, eCRATER Apps, eCRATER ApplicationOn Oct-21-13 at 03:07:20 PDT, seller added the following information:Every buyer gets a MyStoreRewards invitation for cash back. C.S. Osborne & Co. No. 504 - Straight Single Round Pt. - Size 12"